Cara has a lot to answer for. I think a lot of us have regrets about the 90s and how 'All Saints' and the 'Spice Girls' convinced us to pluck out most of out pre-teen bushy brows. I am one of those people. I try to blame my mother regularly, however she reminds me that there was little she could do to stop me locking myself away with my glittery tweezers whist blaring out 'Wannabe'. Guess what? Eyebrows don't grow back. Well not properly anyway. After a decade of willing my brows to grow and very, very little plucking they are almost back to how they once were. There is a little product that helps them to look even fuller and bushier. 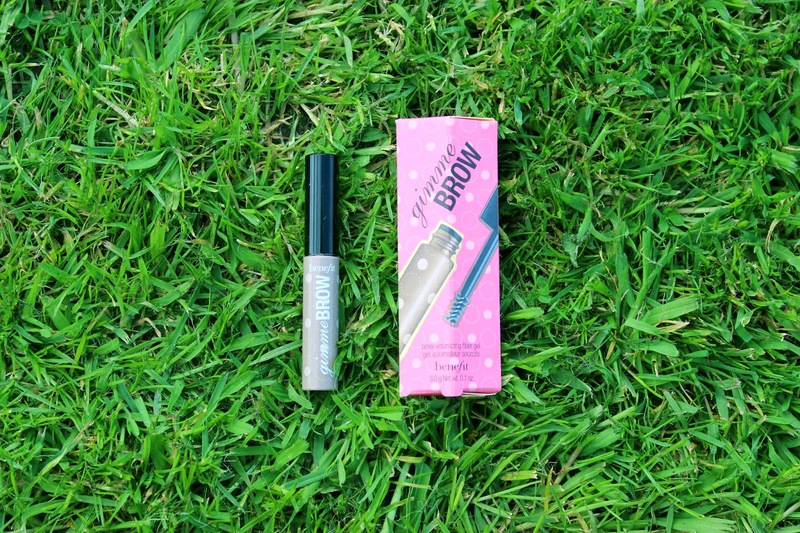 Benefit gimme brow has a teenie tiny mascara brush and is filled with buildable mirco fibers to give eyebrows body and texture. It comes in two shades and it super easy to use. £17.50 is a small price to pay to go back in time - on the brow front anyway.